Copyright and Contracts is an important aspect of content creation, as there are strict rules and guidelines that we need to adhere by. Knowing the copyright laws means that you know your rights and how to work with them. Copyrights and contracts have always been a concern to me as I don’t want to accidentally breach a copyright and have my work fined or taken down. There have been multiple horror stories of people losing their work or creating huge fines for breaches of copyright. A YouTube Channel h3h3productions was being sued for criticising someone else’s content even though it was within their rights to criticise a creative product. Additionally, there is a whole website dedicated to DCMA Horror Stories regarding YouTube copyright infringements. The lecture on Copyright and Contracts proceed to explain and elaborate on how copyrights were formed, what copyright protects and how you would be able to breach copyright. In Australia, the Copyright Act 1968 protects both ‘Works’ and ‘Subject matter other than works’. This means that the actual product or production is protected as well as the recording for that production is protected. The thing that surprised me the most is the fact that you do not need to publish your work or do anything with it before it is protected by copyright, and as soon as it is created it is protected. Additionally, copyright protection is also free and automatic, you don’t have to apply for copyright in Australia. 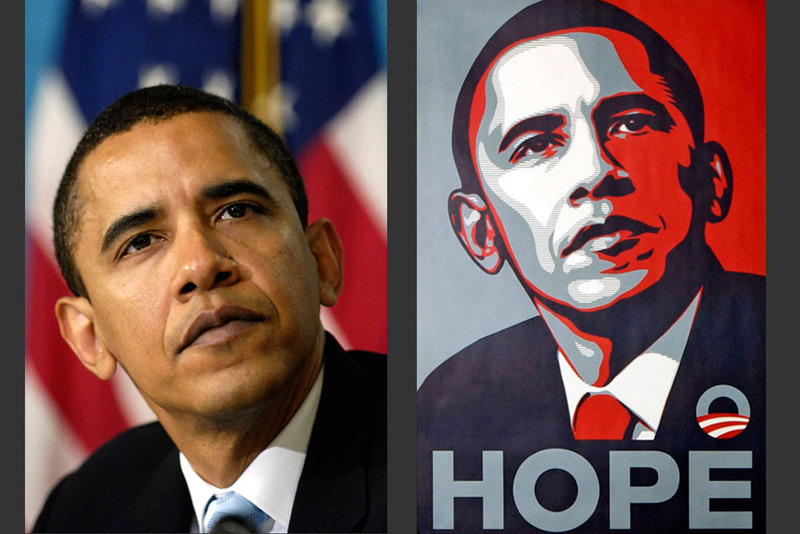 There was a large copyright infringement case between the Asserted Press and Shepard Fairey over the above image, the Asserted Press stated that its copyright had been infringed and that any use of the image required its permission, they sought credit and compensation. In the end, neither side conceded their position and agreed to disagree. Even if a copyright case is eventually proven false, it does cause damage to the defending party. Copyright cases can take months to resolve and contain large legal fees. To help assist me in properly referencing code that I have used or assets I have come across this website called tldrlegal. This website gives a short summary of common license agreements and it explains what you can, cannot and must do with the licensed product. This is merely a summary of the license and shouldn’t be used as a substitute for information about the license, however, it is a good place to start to get an idea of the license. This is an important definition to make as it is important to know exactly what copyright protects. Copyright protects the way an idea is expressed, it does not protect the idea itself. If I was creating a game the copyright would protect the code and the assets that I have for my game but it would not protect the idea or the concept of the game. This is an important distinction to make as the difference between the two is huge. Partnership Agreement – an agreement involving more than one person where it details the terms of the partnership between the persons. Work-for-hire Agreement – assigning the rights of the assets made by work for hire. This can avoid any potential future claims for royalties from a contractor. Licensing Agreement – When a developer is working with the intellectual property of another, such as a trademark or a copyrighted character, it is important to get the proper licensing agreements in place. This information is relevant to me because I am a games developer and it is important to know whether or not I am infringing copyright and whether the content I create is copyrighted. Contracts are important and it will be important to be a successful games developer to know how to read and write contracts.